DIY MUFFIN MIX (with freestyle chart of add-in options): The frugal farm girl's DIY ready-made mix series. Ready-made mixes: Homemade goodness made simple, one jar at a time. 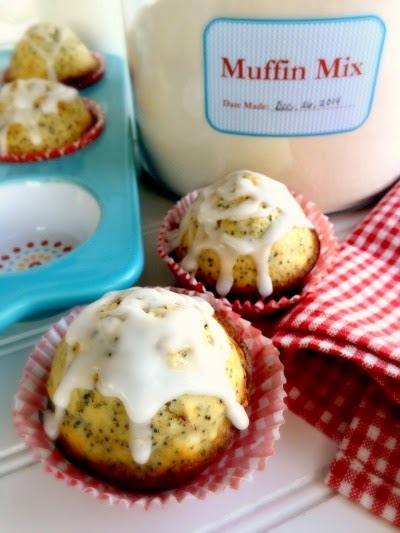 Introducing another ready-made mix for your pantry: Homemade Muffin Mix. This mix is one of my favorites. It won't just save you money, it'll save space on your pantry shelves! 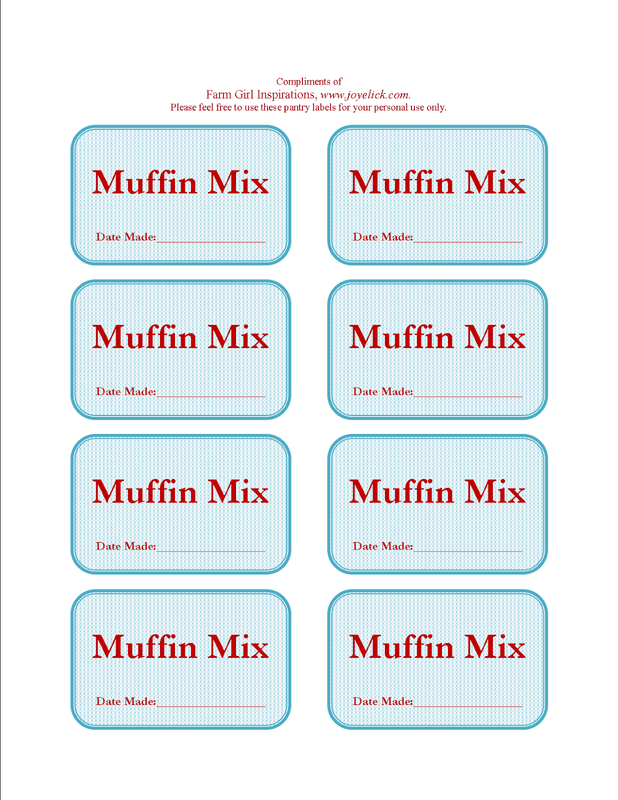 That's because with this one mix, you can make nearly any variety of muffin you can think of (when you use my easy to follow customization chart, printable below)! Baking from scratch doesn't get any easier than this! You want banana nut muffins? Easy. 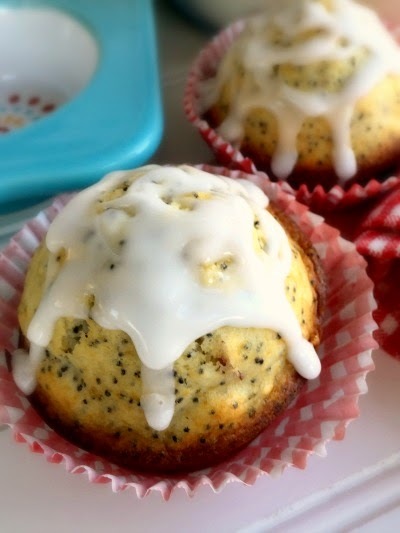 Just pull out your homemade muffin mix with the wet ingredients needed for basic muffins. Then refer to your freestyle customization chart to select your add-ins (available as a printable below). Your muffins will be baking in the oven in no time flat! I love using my freestyle chart. It can spark ideas of new things to try, as well as help me make use of what I happen to have on hand. 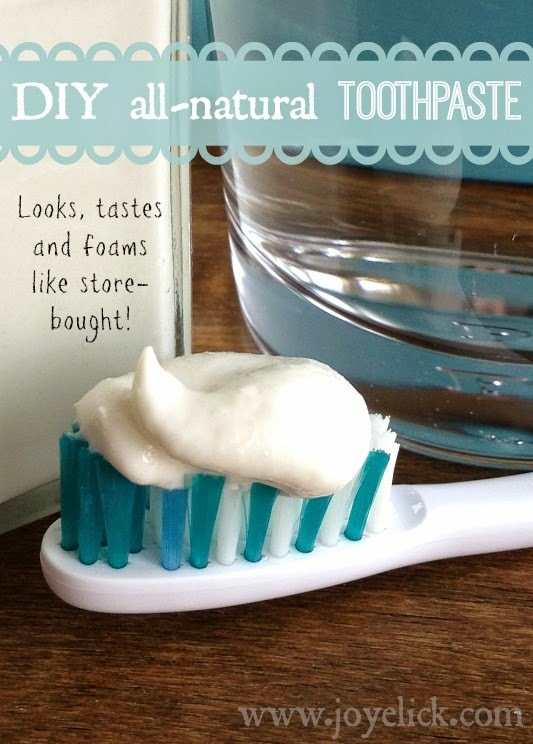 Now that's homemade convenience and frugal living at it's best! Store your muffin mix in an air-tight, one-and-a-half gallon size canister in your pantry until its needed. To make muffins, you'll need to add the following ingredients, for basic muffins, and if desired, your choice of add-ins from the printable chart below for countless other muffin variations. 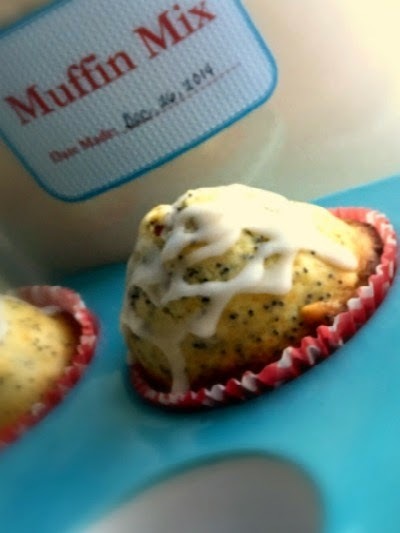 Fill muffin tins 3/4 full and bake at 400 degrees for about 20 minutes, or until a toothpick inserted comes out clean. Allow muffins to cool in the pan on a wire rack. I batch yields approximately 24 muffins. 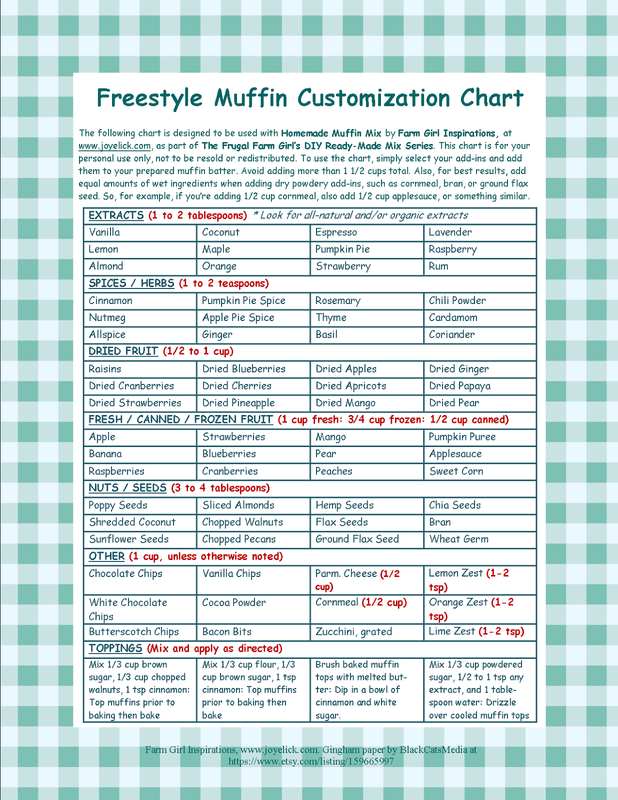 With the freestyle chart below, customization is easy and the options are almost endless! Just select your add-ins: Choose one or a combination of a few, but keep in mind the total shouldn't exceed 1 1/2 cups. Also, it's a good idea to choose equal wet to dry add-ins when you're working with dry powdery options like cornmeal, ground flax seed, bran, etc. Otherwise, your muffins may turn out to dry. So, for example, if you're adding cornmeal, try also adding applesauce. Don't be afraid to experiment, and be sure to write down what you try, so if you love it, you can do it again! Happy muffin making! (You'll find a downloadable PRINTABLE version of this chart further down). Also, remember to download your FREE PRINTABLE LABELS! Each mix post in this series comes with a link to a free downloadable page of 8 labels and instructions to attach to your homemade mixes. These labels are simple and easy to read, and done to look a bit retro (which I love) with their lettering and color scheme. You can print your labels onto white card-stock, cut them out, and use double-sided tape to stick them to your jars of mixes. Or, keep it super simple and print your labels on this sticker paper by Avery. Just cut them out and stick them right to your jars. Enjoy! 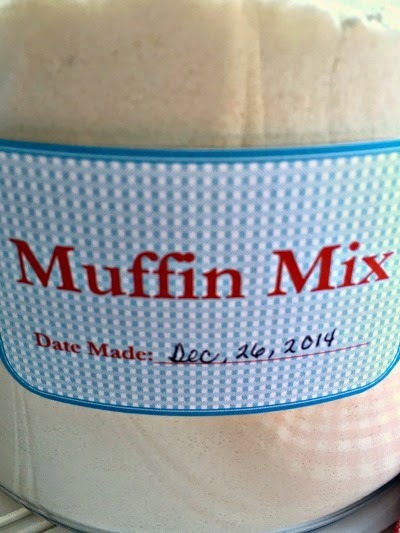 CLICK HERE to download your Muffin Mix Labels. 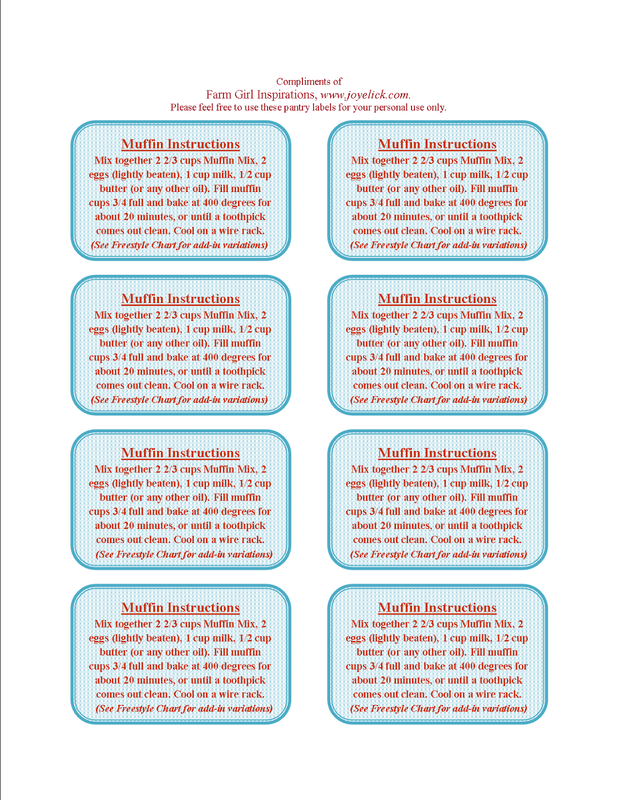 CLICK HERE to download your Muffin Mix Instruction Labels. WANT TO SEE MORE POSTS LIKE THIS? CLICK HERE to see a complete index of the posts in this series! Let's chat. Do you plan to give this recipe a try? If so, I'd love to hear from you in the comments below. Enjoy all your muffin making creativity! Homemade YELLOW CAKE MIX plus DIY CAKE FLOUR. Homemade ALMOND MILK: Never run out of milk again. DIY GRANOLA (cereal): Includes free-style chart for endless variety. Homemade BEEF JERKY the fast and easy way. DIY No-Knead BREAD MIX: Fresh bread every day made easy. 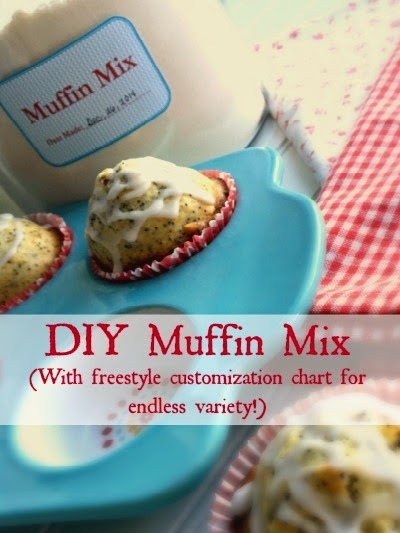 DIY MUFFIN MIX with free-style recipe chart. Thanks for sharing the recipe. I hope it will be delicious. As a professional developer presentations, I can recommend a good template for the future http://charts.poweredtemplate.com/powerpoint-diagrams-charts/index.html. 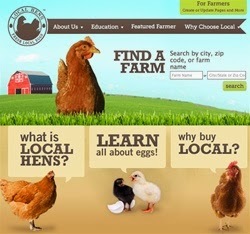 It is very convenient, take a theme template and several slides describing the whole process of cooking. This is a very convenient format for presenting information. Thanks for the cute printable!